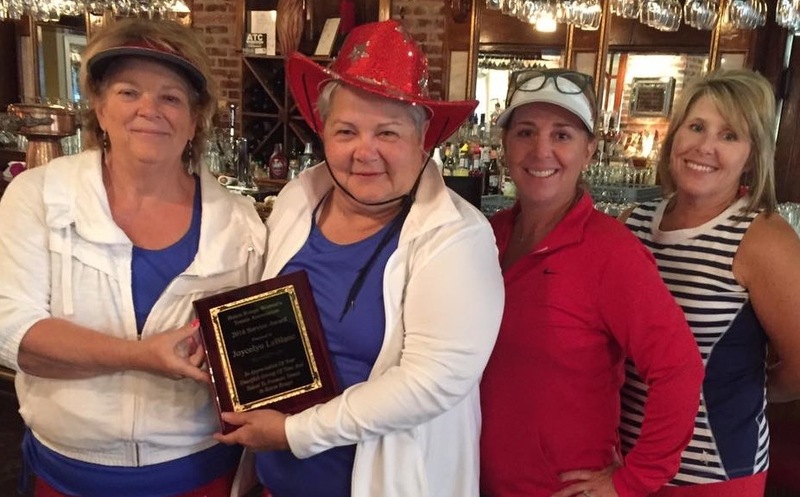 Pictured left to right are BRWTA President Debbie Schott, 2016 BRWTA Service Award winner Joycelyn LeBlanc, BRWTA Tournament Coordinator Julie Purdy, and BRWTA Vice President Julie Waguespack. Congratulations to Joycelyn LeBlanc, HPTA’s Round Robin Coordinator and former HPTA President, who was honored with the 2016 Service Award, presented by the Baton Rouge Women’s Tennis Association at a luncheon at Oak Lodge on May 9. Every year, the BRWTA nominates someone who has done an outstanding job of promoting tennis in the Baton Rouge area. Joycelyn was recognized for her tireless work with HPTA and for helping with numerous tennis events, including area and state tournaments.